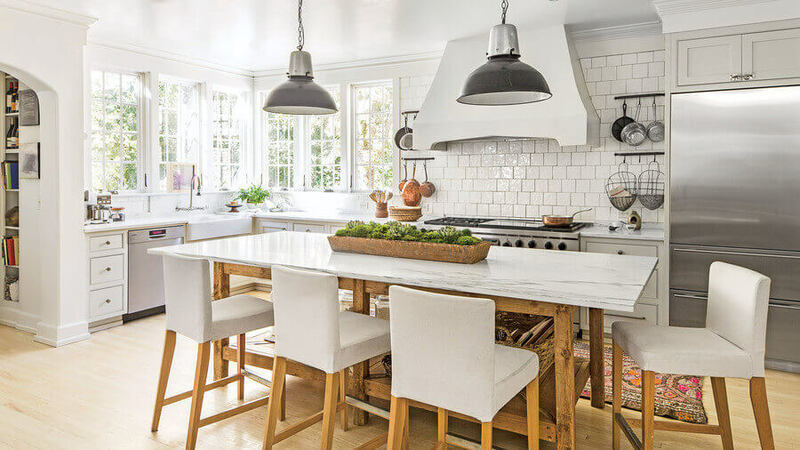 This Remodeling Costs Guide, updated for 2019, will help you research accurate pricing for the most popular home renovation and construction projects. On average, doing a complete house renovation costs $40,000-60,000. However, most homeowners choose to tackle one room or project at a time. This saves money and makes the process less overwhelming. Our comprehensive list includes the cost of over 45 popular Interior Remodeling, Exterior Construction, Electrical, Mechanical (HVAC / Plumbing) projects, grouped by type. It is continuously updated to include new projects, as well as price adjustments for materials. Get started on your remodel by requesting free estimates from local pros. Interior Projects – kitchens, baths, flooring, electric, painting, lighting, ceilings, crown moldings, drywall, etc. Roofing – replacement and installation costs for sloped and flat roofs. Prices for asphalt shingles, metal, cedar shingles, slate, EPDM Rubber, PVC, and TPO roofs. Also, costs to repair various types of roofs. Siding – replacement and installation costs for the most popular types of siding: vinyl, James Hardie, LP Smartside, wood and aluminum. Siding repair costs. Other Exterior Renovations – door installation, window replacement, gutters, fences, decks, etc. Mechanical Projects – HVAC, plumbing, septic, solar, etc. Whether you are a homeowner, investor, or real estate broker, this guide is an accurate reference tool for planning a budget for your projects. Currently, most remodeling costs are up about 2-3%, compared to last year. Low gas prices and lower inflation has helped curb the typical 4-5% annual increase in home improvement prices. On the other hand, roofing costs have not increased, because oil, which is primarily used in manufacturing of asphalt shingles, has been at it’s lowest price in over 10 years. Since contractor prices often fluctuate, you want to be sure that you are getting an accurate and fair quote that is in line with current market prices. Also, keep in mind that actual remodeling costs can vary by as much as 15-20% or more. This will depend on such factors as: the contractor you hire, type of materials used, existing house conditions, your geographic location, as well as other variables. There are many renovations you can undertake inside your home. The most popular projects that have the highest ROI and can improve the value of your home are listed below. In 2019, doing a kitchen or a bathroom remodel remains at the top of the list, as one of the most desirable updates. Other lucrative remodels to consider are: building a home addition, roof replacement, siding updates, and new windows. Average Kitchen Remodel Cost $19,720 (includes labor) This price includes the following: 20 linear feet of cabinets, 200 sq.ft of floor tile and installation, 30 sq. ft. of backsplash tile and installation, 4 piece set of stainless steel appliances(Energy Star Rated) 45 ft2 of granite countertop (Colorado gold or Venetian gold), 50/50 under-mount sink, pull down faucet, dishwasher kit, track light fixture, new garbage disposal, and painted kitchen walls. New Kitchen Cabinets $3,965 (includes installation) This price includes: 20 linear feet of Birch Wood cabinets (base & wall), available in 3 colors. Add $145 for each additional linear foot. Maple cabinets should be calculated at $185/1 linear foot. Kitchen Countertops $35-100 /sq.ft2 This is the price for installing basic color granite counters with standard eased or bevel edge. $10 /sq.ft2 more for other edge types, and $10-15 /sq.ft2 more for premium colors. You should budget an additional $200 for installing an undermount sink. Kitchen Backsplash Accent Tile (glass / metal / stone / mosaic) $7-15/sq.ft. (includes materials and labor) Accent tile costs vary widely. Depending on design and material, backsplash tile can cost as little as $3-5/sq.ft. and as much as $15-25/sq.ft. If you have 30 sq. ft. of backsplash accent tile, your cost will be around $23-39+ per sq.ft for labor and materials. Kitchen Faucet $190-500+ (includes installation) Price includes a new kitchen faucet, removal of old unit and installation of new pull-out / pull down faucet. Installation / Labor cost for replacing a faucet is $140-200 when you hire a handyman. New faucets range in price from $70 to $300+ and may in some cases also require new water lines ($7-10 each) and in rare cases replacement of water shut-off valve. Price for plumbing work to replace shut-off valve is not included here. Garbage Disposal $235-460 (includes installation) Remove old garbage disposal, install new drain basket, attach new garbage disposal, attach electrical and plumbing (drain). Optionally attache dishwasher drain. If you do not have a disposal currently, there will be an additional $75-125 charge to adjust / re-route drain pipes. Appliances $3,000-20,000 Most kitchen renovations include replacing all major appliances (stove, refrigerator and dishwasher). The price range on appliances is extremely wide, depending on the quality, brand names, energy efficiency and level of customization you are looking to have. If you shop for discounted appliances in big box stores, such as Best Buy and Home Depot, you can easily purchase all your brand name appliances for under $2,500-3,000 total. Energy Efficient models can cost 20-30% more than traditional ones. High end appliances, especially those that are custom build can easily start at $4,000-6,000+ for a stove or a fridge. Small Bathroom Remodel $7,830 (includes labor) This price includes an allowance of $1,200 for new bathroom fixtures: up to $146 for a tub, up to $112 for a toilet, up to $227 for a vanity, up to $100 for a vanity top, up to $145 for a medicine cabinet, up to $120 for a shower head/bath faucet, up to $80 for a sink faucet, up to $200 for tile, up to $70 for an exhaust fan – see materials only prices. Note, if your bathroom is larger than 40 / ft2, you should calculate an additional $70/sq.ft. Master Bathroom Remodel $30,000-50,000 This estimate is for a complete renovation of a large master bathroom. It includes: replacement of all fixtures (toilet, tub, shower, enclosure, sink), new countertops, lighting, flooring, wall and shower tile, all new windows and doors, cabinetry and shelving, light plumbing and electric work. While this will not be a luxury renovation, high quality materials will be used in this price range. Replace tub with shower $2,500 – 4,000 Many homeowners who don’t have much use for a tub, opt to remove it completely, and put in a large shower enclosure. The estimate includes both the removal of the tub, and the installation of the shower, as well as all materials. This update can cost more if luxury materials are used. Steam Shower Installation $3,500 – 15,000 When it comes to such a luxury feature as a steam shower, the price can vary greatly, depending on the type of system you want and the complexity of installation. Prefabricated steam shower kits are the most budget friendly options, and can range from $3,000-5,000 for labor and materials. However, a custom built steam shower with all the bells and whistles will start at about 6,000 and can easily cost as much as $15,000-20,000, depending on the shower enclosure size and materials used. Wall Tile Installation $4.94 – 6.56 / ft2 This price is for tile installation on a prepared area and DOES NOT include the cost of tile itself. Includes: thin-set, grout and installation on walls up to 8 ft. high. Add $1-10+ for a sq.ft of tile (depending on style, quality, material, brand). Bathroom Vent Fan installation $250 – $800 – labor + materials Includes removal of the old vent, cleaning the exhaust duct, and installing new vent. Price differences come from different quality fans (basic costs $40-70 vs premium models, with noise control, integrated lights, humidity and temperature sensors, costing $200-$300) and different level of installation complexity. If you don’t have exhaust duct already installed, look to pay $300-500 more to install ducts/exhaust. Paint One Room $355 for a 120 sq. ft. room (includes the cost of 2 paint colors) This price is for a room free of furniture – painter comes in, paints and leaves. No prep work or repair work is included. Also excludes painting ceilings. Interior House Painting $1.75 – $3.40 /sq.ft2 (includes the cost of 2 paint colors) This cost is for a floor plan’s sq. ft. Use our Interior Painting Calculator to get a more accurate cost estimate. Total cost depends on square footage. Less than 300 sq.ft. will be $3+ per sq.ft. Over 1500 sq.ft. will be less than $2/sq.ft. Crown Molding $5-8/ln.ft. (includes materials and labor) This estimate is for a regular shape room and basic crown molding materials, such as MDF, PVC, and Polyurathane. Natural wood, plaster and other specialty materials can cost up to 50% more. Also, custom and complex crown molding designs, as well as oddly shaped rooms, with a lot of corners, will cost at least 2-3 times more. Replace Interior Door $295 This price is for a wood 6 panel white door and installation. Includes hinges, cutting and fitting the door to the right height. Add $45 for a new door knob with installation. Hardwood Flooring $7.32 / ft2 This price includes oak wood flooring finished and stained, and installation. Wood Flooring Refinish $2.75-4.10 /sq.ft2 This price includes sanding, staining and polyurethane finish. Carpet Installation $3.44 /sq.ft2 ($31 / sq. yard This price includes 1/2 inch padding, 38 oz carpet and installation. Removing old carpeting will cost another $0.6 – $0.8 per sq.ft. Note, if your room size is bigger that 12 feet in both directions, you are looking at increased waste on materials side, because carpets come in 12 ft. wide rolls. So if your room is 13′ wide, then you will have 11 feet of waste. Basement Finish $35 /sq.ft2 This price includes framing, electric work, recessed lighting, drywall, taping, sanding texture, paint and carpet. While replacing and old or leaking roof is not a glamorous renovation, it is a top priority to keep your house safe. Moreover, if you are planning to sell your house, installing a new roof will make it a lot more desirable to prospective buyers, because no one wants to deal with roofing problems. Over the last few years, metal roofing has become increasingly popular. Not only does it offer superior protection against the worst types of weather, its also a stylish alternative to classic materials, such as asphalt, wood and clay. 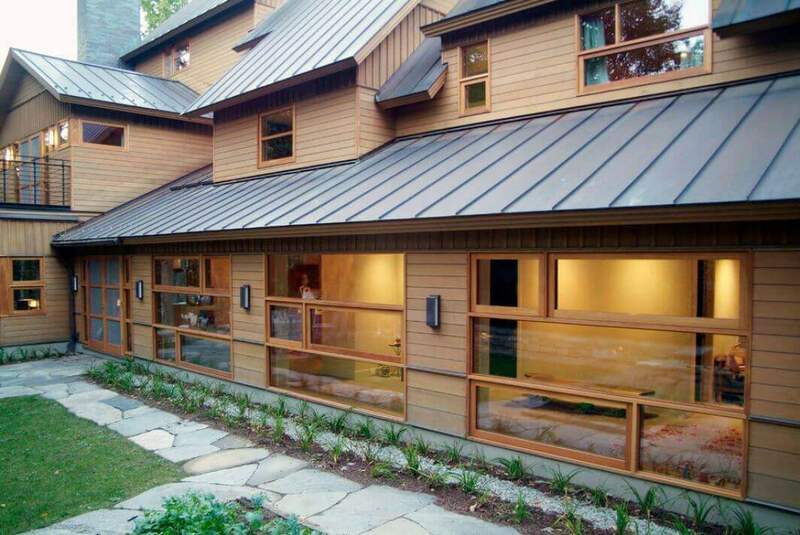 Standing seam roofing in particular is a top choice for modern and contemporary style houses. Asphalt Shingles Roof Installation $6288 or $3.88/ ft2 (includes labor and materials) This price is for an average 1620 sq. ft. gable roof on 1 story house, with architectural roof shingles, and one layer tear off of old roofing material. Top manufacturers include: GAF, CertainTeed, Owens Corning and IKO. Add $50 if an OSB board needs to be replaced. Add $25 a square big for each additional layer of tear off. Add $50 if an OSB board needs to be changed. Add $45 per square for 1 layer of tear off. Cedar Shingles $11,360 or $7.10 per ft2 Price includes installing new cedar shingles/shakes roof, cedar breather underlayment, and copper valleys/flashing (if needed) on a 1600 s.f. roof. Removing old wood shingles or shakes will cost $1.20 – $1.50 per foot. Repairing roof battens will be $30 per 8′ piece. Steep and/or cut-up roofs may cost $2 to $5 more per square foot. Clay Tile Roof $15,680 or $9.80 per ft.2 Estimate includes installing a new clay tile roof, and underlayment, all flashing, on a ranch style 1,600 sq.ft. home. Note, that clay tile is extremely heavy, and often requires additional structural reinforcement. This upgrade can cost $6,000-15,000. Moreover, tile quality and design, as well as expensive shipping charges may also greatly impact your total cost. Slate Roof $22,560 or $14.10 per ft.2 Estimate includes installing a new natural slate roof, and underlayment, all flashing, on a ranch style 1,600 sq.ft. home. Note, that slate is the heaviest roofing material that requires structural reinforcement. On many homes it is not possible to install a new slate roof at all. Adding appropriate reinforcement can cost $10,000 or more. Slate quality and therefore price varies greatly. Cheapest quality slate that is the least durable comes from China, while slate that is quarried in Spain and US is of a very high quality, and can last well over 100 years. Rubber Roof (EPDM) $6,960 or $5.8 per ft.2 Price for an average 1200 sq.ft. flat roof, with removal of 1 layer of old rubber, installation of 1″ PolyISO insulation boards (6R value per inch), and installing new 60 mil EPDM rubber membrane, fully adhered to the insulation, with 3″ aluminum drip edge, and one masonry chimney flash. Removal of tar & gravel roofs would cost an extra of $1 per sq. ft. Installing Tapered (sloped) insulation will add about $1.35 per sq. ft. Replacement of rotted substrate – $75 per sheet of 5/8″ CDX plywood. TPO Roofing $7,560 or $6.3 per ft2 This price includes installing a new 60 mil fully adhered TPO membrane on an 1,200 sq.ft. flat roof, together with 1″ PolyISO insulation boards, with 3″ aluminum drip edge, and one masonry chimney flash. Roof Repair – missing shingles $275 to $450 + materials Price for replacing up-to 1 bundle (33 s.f.) of asphalt shingles, that are broken, blown off or missing. Slate Roof Repair – broken slates $700 to $1200 + materials price for replacing up-to 20 slates, that are broken or missing. If a roofer needs to match a rare slate size/thickness/color, you can expect to pay an extra of $15-50 per piece. Rubber Roof Repair $375 to $700 Patch up-to 10 holes in rubber roof. Replace up to 4 corner flashings on chimneys / skylights. I personally charge $425 for 2 hours of labor + materials. Labor is $100/hr over initial 2 hours (15 min increments). My price excludes re-seaming, as a lot of material is used (especially when you need to cover old 6″ tape with 12″ tape). Reseaming costs $13-15 per linear foot of 6″ tape, and $20 per ln. ft. for 12″ wide tape. Homeowners can also purchase a DIY Rubber Roof repair kit, which includes all necessary tools an materials for most common repair jobs, and save an average of $200-400. Here we cover installation costs of the most popular siding materials, such as: vinyl, cedar/Wood shingles and clapboard, Fiber Cement and Composite Wood siding (Hardie and LP SmartSide), engineered wood, stucco, etc., as well as costs of siding repairs. If you need to estimate project-specific cost, use our comprehensive Siding Calculator, where you can enter house ground dimensions, building height, slope and style of the roof (to get gable end dimensions) number of windows & doors, and receive a very accurate cost estimate. Vinyl Siding $7,102 -10,368 or $4.50 – 6.40 / ft2 (1450 s.f., includes labor and materials) This price includes removal of old vinyl or aluminum siding and installation of new .044″ clapboard vinyl siding with 1/4″ backer board insulation and wrapping 2 doors with aluminum, on an average size ranch home. Also, includes typical window and door trims. This excludes aluminum copping (wrapping) of window frames, which costs between $50 and $75 per window. Vinyl Siding Repair $250 – 500 for repair or replacement of few vinyl panels, fixing bubbling caused by tight nailing, etc. Since vinyl repairs are all different in nature, it hard to estimate your exact cost. However there are common issues that are typically caused by improper installation, such as panels being nailed too tight, which results in bubbling. Also, sometimes panels crack due to impact, or melt due to being close to a grill. Most of these can be fixed in under $500, including installation on few new panels. James Hardie Siding $12731 or $8.78 / ft2 (1450 s.f., includes labor and materials) This prices includes installation of house wrap, pre-painted Hardie Plank cement siding with stainless nails, sealing all joints, painted wood or PVC trim around all doors and windows. Hardie siding should only be installed on flat / smooth substrate. Removal of old siding will range between $1000 and $1500. Primed (unpainted) Hardie Plank will cost about $800 less, but you will also need to paint the house, after siding is installed. High end price with ALL PVC trim should be about $18460 or $12.73 per sq.ft. Also, check out this guide for in-depth look at Hardie Plank material costs. LP SmartSide composite wood siding $11644 or $8.03 / ft2 (1450 s.f., includes labor and materials) This prices includes installation of house wrap, pre-painted LP composite wood siding with stainless nails, sealing all joints, painted wood or PVC trim around all doors and windows. LP SmartSide should only be installed on flat / smooth substrate. Removal of old siding will range between $1000 and $1500. LP has it’s own pre-painted trim. However, our recommendation is to either use PVC trim or Cedar Wood trim and paint it to desired color, to avoid delimitation issues that are common with factory trim, that’s made of wood particles. High end price with ALL PVC trim should be about $16,997 or $11.72 per sq.ft. 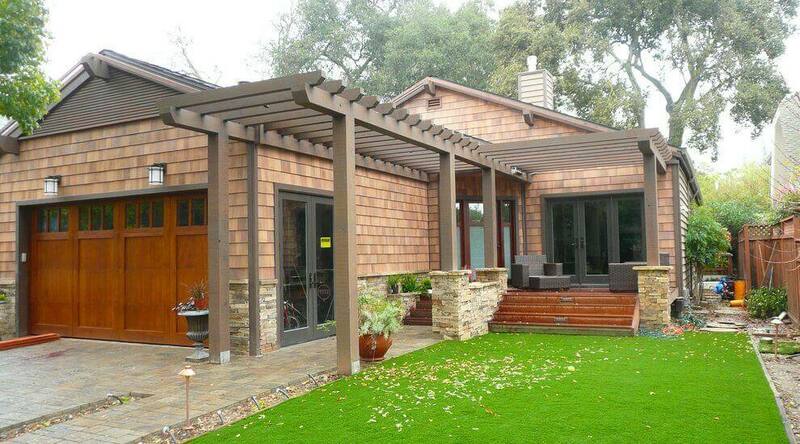 We grouped all exterior remodeling projects together. These include: house painting, new windows, landscaping, paving, external buildings, additions, garages, sheds, etc. $150 for an obscured window. Add $150 for tempered glass. There will be an additional charge if argon gas is necessary. Minimum of 9 windows. Aluminum Seamless Gutters $12 / ln. ft. Average house has about 90 feet of gutters, which will cost $1185 for 5″ (K-style) seamless aluminum gutter and 4 downspouts, without Leaf Guards. Extra floors, corners, downspouts, will cost more. Copper / Zinc Gutters $40-50 / ln. ft. Copper and Zinc gutters cost a lot more than aluminum, due to much higher cost of materials, and a lot of custom labor, such as seam soldering for copper. Copper and Zinc are typically installed on custom and historic homes, and are not very common on regular houses. Copper is often installed along with slate roofs. Exterior Door $570 This price is for a basic steel white exterior door, with installation. Framing $3.76 / ft2 (includes labor only) Note that framing is very specific, so the final price will vary greatly depending on the project. Wood Fence $39 / linear ft. This price is a for a linear foot of installation of a wooden fence 6 ft. tall, wood 3-Rail Dog Eared Fence Panel, includes cement and 4″x 4″ posts. Add $400 for a gate. One Car Garage $12,875 This price includes plans, framing, cement, roof, garage door, door opener and a walk-through door. Putting in a window costs an extra $325. Two Car Garage $15,925 This price includes plans, framing, cement, roof, garage door, door opener and a walk-through door. Putting in a window costs an extra $325. Attic Addition $71,190 Cost for a basic 15×24 shed dormer addition on the attic. Includes new shingle roof with two fixed skylights, 4 vinyl windows, basic shower bathroom and one standard room, and standard plumbing, heating and electrical wiring. Excludes building staircase, debris removal and building permits. Home Addition $100,000-320,000 or $120-400/sq.ft This is the cost of building an 800 sq.ft. home addition. 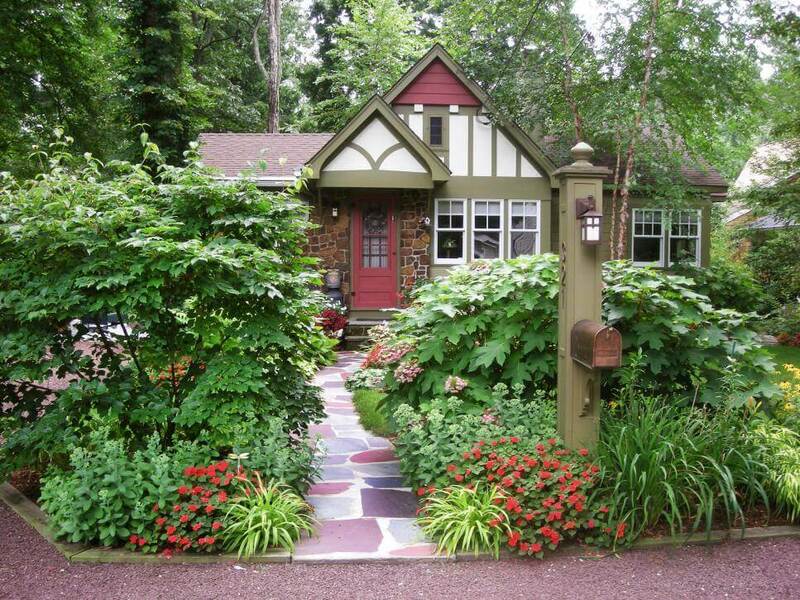 Typical additions include a kitchen, an office, or bedroom and a bathroom. If you are looking to build a two-floor addition, you will need to hire an architect, which will add 10-15% to the total cost. Pave a 2 car driveway $3,200-3,520 This is the typical price to pave a 16 x 40 (640 sq.ft.) driveway with concrete. Not that there can be a lot of hidden or extra costs in this and any other concrete project. These include, concrete thickness, finish type, edges, grading, removal of shrubs and stones, etc. Use our Concrete Slab Calculator to estimate the cost of various concrete projects. Exterior Paint $2.05 – $3.74 / ft2 (includes the cost of 2 paint colors, trim and siding) This price is for a floor plan’s square foot of a level that has exterior exposed walls up to 9 feet high. These are not remodeling projects, but rather internal systems that support the lives in our homes / apartments and make them comfortable. Heat, Hot Water, Electricity, HVAC Systems, etc. All the moving mechanical parts in our homes go in this category. Recessed (Can) Lighting $210 / fixture This includes wiring, cutting drywall and installation of the fixture. TANKLESS Hot Water Heater $1400-3500* Labor + Materials with basic warranty 10-15 years This price includes removal & disposal of the old water heater and installing a new tankless unit, one with all connections. Relocating the water heater (if you need to vent the gas outside, using power vent option) costs extra. Electric Tankless water heaters cost $300-600 less to install, than gas. Gas option will cost much less to operate (in energy costs). Gas units will often need to be power vented, and sometimes may not be vented into chimney. Hot Water Heater (storage tank) $950 Labor + Materials with basic warranty 4-5 years (40 Gallon Gas) This price includes removal of the existing water heater and installing a new one with all connections. Relocating the water heater costs extra. A 50 Gallon Gas tank would cost extra $100. Electric hot water heater usually costs $100 less than Gas unit with same specs and warranty. Extended warranty period (from 4 to 8 years OR from 5 to 10 years) would be $100 extra. 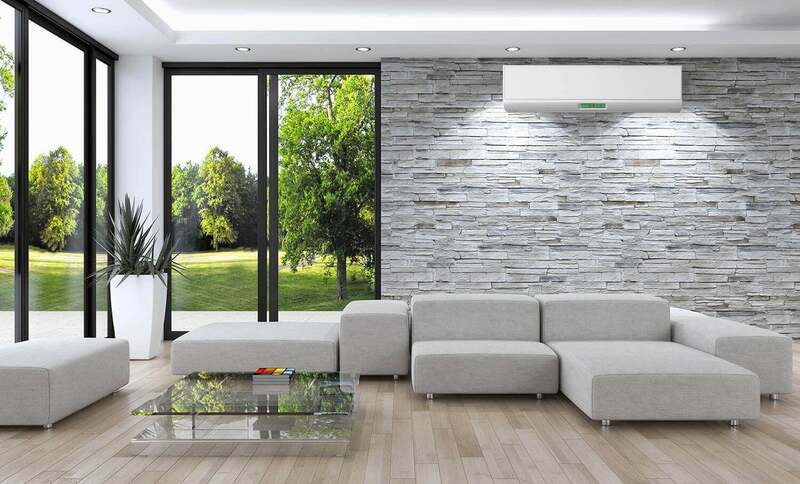 Ductless Mini Split AC (Heat Pump) – 12000 BTU – 1 Zone $3,500 – $4,000 (Labor + Materials) Price includes installation a 12000 BTU Mitsubishi M-Series (23.1 SEER) Ductless Mini-Split AC / Heating systems with one indoor unit and one outdoor condenser, checking line-set (up to 50 feet) for leaks and filling with refrigerant (R410A), as well as doing all necessary electrical connections. Each additional zone with 12K BTU will cost about $3000 extra. High Heat models such as H2i series (26.1 SEER), which are perfect for any application in a sub-freezing environment (-10F or lower ambient temperature) will cost about $400-600 more per zone. If you do not have 230V power available at desired location for outdoor unit, you will need to get it installed for about $300-450 extra. You can opt for a less known brand (such as Friedrich) to save about $500-1000. You can also find some highly ranked (but not very well know) brands on Amazon for $1100 total equipment cost, and hire an HVAC professional to do the work for about $1500, which would bring the final cost to about $2500-$2700 for a 1 zone 12000 BTU system. Estimate Cost of Ductless AC / heat pump, as well as BTU load/size, with our easy to use calculator. Central Air System $4,100 (labor and materials) This price includes a 3.5 TON central air – condenser, coil, line-set and installation. Hydronic Heating System $7,500-9,000 (labor and materials) Includes boiler, radiators/baseboards and new gas boiler. Oil boiler + new oil tank will be about $1700 extra. See the differences between Oil vs Gas boiler. Electric Sub-Floor Heating Installation $15,000-18,000 or $10-12/sq.ft This cost estimate is for a 1,500 sq.ft. space and includes all labor and materials. Radiant floor heating can be installed pretty much with any type of flooring and is a wonderful luxury for homes located in cold climates. The most popular rooms for heated floors are bathrooms and bedrooms. 1. The level of finish that is on the price list is considered “Standard builder grade finish”, which is the most cost effective way to get the job done. Prices will change depending on any specific materials, custom work and a tight schedule. 2. All prices are for work that is done by code and inspected by the city, if necessary. 3. 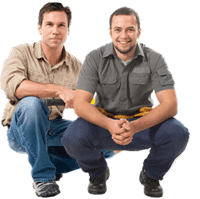 Labor charges are for licensed and insured contractors. The estimate takes into account overhead costs associated with maintaining a safe business. This makes it very accurate and similar to real figures your would get from your local pros. 4. Permit prices vary greatly depending on location and therefore they are not included in our list. However, its crucial to pull permits for all projects that are being done in your house. Many homeowners run into major problems with the town hall, if its discovered that a major project has been conducted without permit. In some cases, the town can legally force the homeowner to remove the update that has been done. Also, when you sell your home, prospective buyers will be looking to see all the permits that have been pulled to get a sense of the remodels that have already been done. 5. Pricing is based on a minimum project cost of $4,000. In case the total job is under $4000, these prices will change due to the overhead of initiating and completing the project. 6.Cost estimates for this guide are sourced from over 30+ medium and large remodeling and general contractors, extensive research and the Remodeling Magazine. The reality is that no remodeling project is free of surprise and extra costs that seem to creep up out of nowhere. Some of these simply cannot be avoided, which is why remodeling pros always recommend to set aside at least 10-15% of the total project cost as an emergency budget that can be used in these unforeseen situations. However, with smart planning and budgeting, you can stick to your original financial goal and still accomplish your dream remodel. This often happens in older homes, when the remodeling plan involves moving walls, or doing complex electric and plumbing updates. When the work begins, a contractor may often discover structural problems in the walls, flooring or ceilings, that can have serious safety ramifications if they are not taken care of. In this case, you just have to brace yourself, and pay to fix all the discovered issues. This is a similar unpredictable scenario where an electrician or HVAC pro may discover serious code violations from pre-existing work. This is a ticking bomb that can lead to fires, flooding and other types of damage, and its essential to fix. To avoid similar problems in the future, its very important to hire a licensed pro, who who will do all his work up to code. Handy men or cheap contractors usually love to cut corners in this department. Again, old houses are more susceptible to mold and termite infestation compared to new construction. This is a very expensive issue to remedy, but also one that cannot be left alone, because the damage will only get worse as time passes. This is a common extra expense in bathroom remodels. A homeowner who wants to re-arrange the position of the sink, tub and toilet for aesthetic and convenience reasons, may not realize that doing so can easily tack on an additional $3,000-6,000 to the total cost. This is an update that should be discussed with your contractor ahead of time, so that you know how much it will cost, and evaluate whether its a worthy investment. This is an issue that comes up in most kitchen remodels. New cabinets can make up a huge chunk of the remodeling budget, but there are also ways to save. Custom built cabinets are extremely attractive and convenient, but they cost at least 40-50% more than stock cabinetry. There are plenty of stock and semi custom cabinet brands that offer a lot of options and flexibility in terms of design and functionality. Decide whether you want to splurge or save in this department. Bathrooms remodels also face a similar issue, as there is a lot of room for customization vs using stock materials. This includes, shelving and cabinetry, as well as shower enclosures. Finding the right materials, fixtures and accessories for your remodel can be both exciting and frustrating. Primarily this is because such a huge price range exists for seemingly similar items. This is where you have to keep your cool and be smart. Think about whether everything you want requires a brand name? Expensive doesn’t always mean better quality or nicer design. However, small items can suddenly add up to big bucks and you will all of a suddenly be faced with thousands of dollars worth of materials purchases. Instead, go bargain hunting to various local building materials outlets. You will discover many gorgeous materials and accessories, even designer ones at half the price compared to retail. If you must, splurge on a few high-end items that you are dying to have. Did you know that the majority of unforseen remodeling expenses come from the homeowner changing his or her mind about what needs to be done? Sad but true, if you don’t carefully plan what you want your kitchen, bathroom, or addition to look like, down to the smallest details, you will end up driving yourself and the contractor crazy by requesting for changes to be made once the project has commenced. Usually, this ends up costing thousands of dollars more than necessary, if more planing was done ahead of time. The flip side of this issue can be coming from a dishonest contractor, who keeps adding new costs, as he works on the remodel. This often happens when a pro lures you in with a “low price estimate”, but doesn’t spell out all the details of what he will be working on. Then, you continue being surprised by extra items that just come up, but its usually very difficult to get out of the contract in the middle of the renovation. To avoid this ugly scenario, make sure that you have a very detailed, itemized contract that spells out exactly what the contractor is charging money for. If anything truly unforseen comes up, its needs to be included in the updated contract. I have a Studio Apt. approx. 500.00 sf. I am using your guide to help with my budget and before I consult contractors. How did your project go. Was this guide helpful? Did it help you save money? You would have to remove siding + interior trim, which adds a lot of extra labor costs. O it’s best to replace JUST sashes if possible. I’m not sure what you are asking. What’s “cortation”? I would like to know if you have a program for this ? the place and build a new one? I would like to know who comes up with this considering these costs are sooooo far off of actual. Tyler, I come up with these prices, based on what contractors charge. What you say means nothing – you can’t just say “these costs are sooooo far off of actual” without specifics. There are over 25 projects here. You need to be specific when making such statements … so do tell me what’s off actual, what what is actual pricing. As you do that, keep in mind these are prices when hiring a licensed & insured professional. I’m sure you can find a handyman to replace a septic system for 1/2 the price, but that would be dumb to do. I give that example because I just met such handyman a week ago – he does everything from painting to excavation and septic, to roofing to electrical to plumbing. Do you want that guy doing specific trades that require licensing on your house? I don’t! So do explain what is off here. I completely get where you are coming from, and that’s why I do most projects myself. A) I don’t want to part ways with thousand of dollars, and B) it gives me things to write about on this blog. I’m in a process of a long term (it’s been a year of on and off work) full house remodel – so far, my labor costs would have been $30000-40000 alone, and I did it all myself. The only things I hired a contractor for so far, were hot water heater (i paid $1300 for it) and kitchen countertops … Water heater requires gas work, which I’m afraid of 🙂 and counters – i mean you need a whole granite cutting shop AND special equipment to install it (suction tool that pulls plates together, while adhesive in joints is drying). All else I did myself, precisely because I CAN SAND cabinets in 1 day and not pay $3K for it! At the end of the day, it how much people are willing to pay for something. Some will pay more. For example, we did a metal roof about 10 years ago, and customer wanted stainless steel snow-retention bars – the material cost alone was like $2800 + installation. But he did not want snow falling on his head. Thank you leo ! Part of my job it seems is going behind so called contractors who are not liesensed or bonded and can certainly give the lowest bid probably due to the fact their not qualified or neglect their financial responsibility to run a business to begin with. I’m blessed to have very good repeat customers ! But their are those who want something for nothing. I guess some don’t understand a business has to support itself as well as a family and I’m not getting rich. This is 2018 Thx ! I strongly agree with you. If you live in the Northeast- dont be shocked when these prices dont even compare. Too many misleading websites now a days. Dave, how do you expect this price guide to work for every town and city in all 50 states? We have to use averages. An then, you can take the average, and apply local multiplier – for example New England is 14% higher than National Average, so if a job costs $100, then in New England it would be about $114 … that’s all. Now I live in MA, and prices differ if you travel just 10 miles! Take for example Wellesley & Framingham MA, which are right next to each other. A hypothetical job that would cost $1000 in Framingham, can go for $1500 in Wellesley, which is 5 miles away. There are too many variables to consider, so we have to establish some guidelines. Another good example is electrical work, which I’m doing right now. I got two quotes to upgrade electric service to 200A – one quote is $3100 and another is $1700 … both from local electricians… How do you explain that? I agree on “Too many misleading websites now a days”, and most of these websites are operated by marketing or media companies, who have no connection to home improvement industry, and hire writers with “Journalism” degree. I spoke with former editor in chief of remodeling magazine – he has never done any construction in his life and is a journalist by trade. According to him, big remodeling publications writers ARE NOT CONTRACTORS – that is why you get prices that make no sense. On the other hand I’m a Roofer/General Contractor, and I base our prices on many factors, including numerous surveys of 1000s of contractors over past 12 years, as well as what my subs charge me, and what they charge homeowners. So I try to keep the numbers on this site as real as possible. I’m interested to hear your thoughts about my situation. I’m in the midst of a renovation and I’m concerned by the standard of work I’m receiving from my contractor for the price. That’s what brought me to your page. I showed my contractor images of what I wanted to achieve, he came back with an estimate and said he may not be the cheapest guy but he works to a high standard. He is now working on the property, the mechanics are in (it’s a full renovation) and now it’s just down to selections for fixtures and fittings. He has presented me with allowances for each. Example – $350 bath tub ($700 seems average.) I can’t find anything even close to the look or quality I want for these allowances yet this small bathroom is costing me 18K. I’m confused if I have unrealistic expectations (which shouldn’t he have managed from the start?) or is this guy taking me for a ride? Since your bathroom is a full renovation, and you want “higher end” fixtures $18k does not seem out of the norm … the truth is – it is very much dependent on what is being done exactly, the size of your bathroom, and so on. If you want to let me know the basic specs of your project, I can help you better understand if it “too expensive” on inline with average costs. 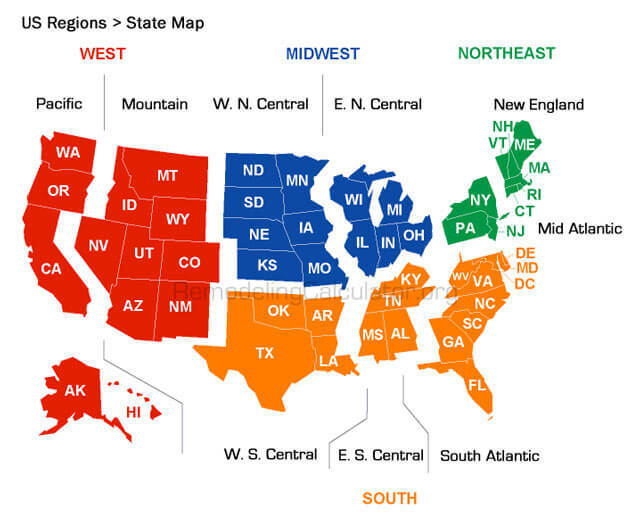 Is there a map that shows what the regions are? I live near Kansas City, MO. Is that North/South/East/West Central? Here is the map. MO is West North Central. I would like to know what the cost would be to demo an exterior wall to install floor to ceiling windows. The exterior is brick. Inside, the center part of the wall has a stone fireplace that I want to leave in tact. Basically, I want my stone fireplace with huge windows on each side. I know the cost will vary depending on the type and size of windows but a ballpark idea of total costs for demo, materials and labor would be a great starting point. I live in the Atlanta area. For this kind of work, you will need to get a building engineer, to ensure that once you knock down you (load bearing) exterior wall, the house does not collapse. That alone may cost around $1000. The actual removal can be “cheap”, but most likely cheap will mean more expensive, once cheap laborers destroy your chimney, and so on. This is VERY approximate. You should have the contractor doing the windows to also do demo. Otherwise you may save a few bucks, but will lose a lot more due to miscommunication / scheduling issues, etc, deliberate or not. Best of luck. If you want, upload pictures (inside and outside) of this, to https://imgur.com/ so I can take a look, and maybe provide more insight. Leo, curious what your thoughts are about my situation. We want to add a large 3 car garage to the existing house and have the space above finished. At the same time, we want to strip the entire inside of the house down and redo plumbing, electrical, and HVAC. This means we will recreate 1.5 bathrooms plus a master bath, a full kitchen, and due to the addition would need new siding and likely a new roof so it doesn’t look goofy. Insulation will likely need redone as well with a few landscaping items as well. Oh, and the existing septic needs moved. Before you ask why we don’t just build a new house, it’s because we can get the existing house at a great price plus we own the vacant lot just next door that can be used as collateral for a down payment. My thoughts are – it will be a lot of money 🙂 .. However – I don’t actually see a question .. but yea – maybe at will be cheaper to know it all down, and build new … you should get some quotes. Forgot to note that existing house is about 1750 sq ft. And the 3 car garage addition is about 30×40. What a great and helpful site! Thanks for doing the groundwork to give us a “jumping off” spot to further the research for a project. I am just beginning to design a remodel for a 1960’s era kit A-frame cabin, asymmetrical roofline, 400 sq ft., and your list reminded me of things I had forgotten…already! I came to this website ,because a potential client came to me with the notion that the prices on this site along with a few others (HOME ADVISER) in reflection of cost for the region we live in . First and for most take everything from home adviser with a gain of salt .They are a joke ,and do not care if you find a GC ,handyman to assist you .They only want you as a lead ,so they can charge the GC .They know their prices are way off target. But hey they got to entice you somehow,or they wouldn’t be in business ! Im a general contractor in the North Bay & Bay Area of Northern California,and I can tell you these prices for this area are way off- even if you add the % this site along with other sites suggests. The current inflation effecting the economy isn’t being factored in either ,which effects even more so. . The price of materials has risen several time just in the past 6 months. No GC ,Handyman is going to eat the cost of any materials for a client ,and rightfully so. We have a serious shortage of labor let alone good labor in California* I believe across the nation. The issues from all the carnage from the disasters across the state of Calif & other states just amplifies it. Prop 1137 ,don’t quote me on that ,(could be wrong on the prop #)has passed in Calif-prices will increase in the private sector.-YOU CAN THANK THE UNION FOR THAT! UNION prices are rising all across the nation,for the Union .Why ,they say because of inflation, and no the labor force will more than likely not see any of it in their paycheck!! Put prop 1137 and the union together,it will all make perfect sense at least in Calif. Currently the average price to build a new house is running roughly 400 /450 to 800 sq-ft., if the Ca economy holds stable(factor material prices & labor shortage= inflation)The average contractor in this area makes roughly 75-120 hr,Electricians charge roughly 85-140 hr, labor roughly 18 to 25 hr, carpenters are paid from 25 hr to 45. Handymen or person makes roughly 55-100 hr. As to why GC bids are all over the place,each company has different cost of overhead, All overhead must be included on top of the hourly wage of each employee . NO COMPANY could stay in business otherwise regardless of where you live- that’s a no brainier I believe for everyone. When you take your car to a mechanic you pay how much to get your car fixed,and there is no bidding option-you pay 120-150 hr. Yet you complain about a GC charging the prices they charge to build or remodel that” safe place” you call home ,where you and your children live. Its safe for a reason. Construction infrastructure alone takes years to learn, (min of 5 out of 7 to be a GC in Calif) still have to passing the exams-or no license. Years to learn study ,and perfect your ability and skills to all the different styles.Federal,State regulations /codes upkeep ,County as well because each has its own. The ever changing laws.10 years of liability on anything they build, liability insurance(s) ,comp,wages, GC license,business license fees for each county you work in. Health benefits every person in this trade should have automatically,its extremely labor intensive and hard on the body. Incentive benefits to keep them as employees,because if you dont someone else will. Tools cost for each employee ,so they can build those infrastructures,upkeep of tools so they last for years, place to store those tools and conduct business. Endless meeting with inspectors,architects ,and engineers, training, quality of craftsmanship, budgeting,scheduling to meet completion dates,so you can make a profit to reinvest back into the company. Overseeing Subs to ensure everything mention above they are compliant with as well to protect the client and themselves.Finding, bidding new project ,so you and your employees can grow and prosper regardless if the client comes to you or not .It takes hours,days ,weeks sometimes months to work out a bid . Who’s responsibility is it to pay for all that time spent, the GC ? I don’t think so,after all it isn’t they’re house ,and your paying for a service ,just like you pay for your Mechanic with the exception the stakes are much higher for the GC. I do not recommend going to the internet to find prices when it comes to construction of any sort,you cannot use a national average to get a true prospective of costs. Its also important to keep in mind that even Architects,or Engineers are not always in the loop of actual costs,they don’t build,nor know the cost of all GC’s. Its very easy to find a GC online ,or stop and ask to speak to one where you see construction going on. Most are very polite and will provide you with a card or a number to contact them. I hope this help bring some perspective to this site and the people searching . @C KELLER, good insights… I will do quick answer now, and in more details later. 2) so you are right – its very hard to have one measure of price for 320 million people in 50 different states, with completely different economic conditions. With thats said – you should understand that most people in US cannot afford CA prices for real estate / remodeling and other home related stuff. Home prices in bay area are near 3 times national average. I live in MA and our prices are also crazy. At the same time salaries in CA and MA are way higher than avg, driven by tech sector. Bottom line – CA pricing cannot be used as benchmark for the rest of the country. Everything is more expensive there. We do use an ~19% premium for West Coast over national average… But west coast is huge, so that is all approximate. I have a home that is about 1650sqft an I’m looking to get quotes or ball park numbers of what it would cost to do this list of things: home located in California . I assume these items are copied from a contractor’s proposal. If not a secrete, how much did they want for all of this? Did they break it down by room or by work type? You would probably get better prices if you work with single contractor. Also better for logistics. For recessed lights, you need an electrician, and I’d guesstimate $750 per day of work + materials. Now electrician needs access, so other contractor(s) would need to do demolition first, and then prepare framing, etc. For for walls and ceilings, the plaster guys usually charge around $100-150 per 4×8 sheet of drywall (with installation / plastering) + materials. For painting, you are looking at $2-3 per sq. ft. of floorplan (meaning if a room is 10×10, that is 100 sq. ft. * $2-$3 … this doesn’t include ceilings, patching, etc. Also doesn’t include moving stuff and covering furniture. It will be expensive, but honestly, I can’t provide pricing for all of this, as there are way too many unknowns. If we are talking straight demolition, this would be like a handyman / laborer type work. But since you would hire that person directly, I think per hour or per day pay structure is ideal. As far as cost – depending where you live and if you can find a person to do it – $20-30/hr or $200-300 per day seems reasonable. The issue is – most handyman don’t like short jobs, because it takes long time to find work, and then they work for only one day … so in my area it’s hard to get a handyman / laborer for less than $400/day … most won’t do per hour. What you can try – go to home depot / lowe’s in the morning … there is usually a bunch of guys hanging out, looking for day work / laboring. You should call at least three companies to ask the things they would charge. Peeling paint – Painted siding lasts longer than unpainted siding, pyre and simple. A company in business under 5 years likely hasn’t the track record sufficient to ensure you an experienced project and warranty. I completely disagree on “at least 5 years in business” thing. Every contractor starts somewhere, with no reputation. Heck – even your company had no reputation or track record when you started out. It takes time to build client base and referrals, and what honest contractors do, is great work and customer service. In fact honest new guys often go way more “above and beyond” than many “reputable” companies, because they still have something to prove, whereas reputable companies are often more relaxed on quality, and charge higher prices. I’d actually go with a newer business, versus well established. The key is to find honest and skilled guys. Thank you. Years ago I built new homes in Alaska, but today prices are so different. Working on a complete remodel of a modest home in So. Cal and trying to come up with ball park estimates of costs along with an estimate of value when I’m done. From your numbers my “from the hip” estimated of $80,000 won’t be too far off with me doing a lot of the work. Thanks again. PS: Fortunately I have a huge cushion with current values being what they are and we own it free and clear, just in case I can’t do as much as I want and costs go up. Please provide more details about your demo job, so I can provide a more accurate number. We are needing a quick response because we are in the due diligence phase of buying a house. We are in the process of trying to decide if it is cheaper to do a remodel of this home or build from scratch. The house we are looking to remodel is brick, basic rectangular ranch style about 1800sqft. We would like to widen it and add many windows to take advantage of the view. There are other remodeling projects to be done inside, but your site helped with some of those costs. We are trying to determine if this expansion would be too costly since it would involve changing the roof line and possible expanding the foundation. These prices don’t match my local market. I can tell you that in city where i lived (Brookline MA), these prices also do not match … Brookline is 50-70% more expensive. However if you drive 30 min to Brockton MA, those prices would be 15-20% lower that this calculator. Point is – it is impossible to get correct price for every home remodeling project, in every little town, in a country of 320 million people. Even within same town I get quotes from licensed electricians that are $1500 and $3150 for same project (200AMP panel upgrade). So your broad statement that “these prices don’t match my local market” means absolutely nothing. I don’t even know which prices you are referring to, and what your local market is. Care to provide more details, so we can discuss?